US Secretary of State Rex Tillerson, speaking before the UN Security Council, has threatened to suspend diplomatic relations and impose additional sanctions affecting third parties with North Korea unless Pyongyang abandons its nuclear weapons program. Tillerson said since 1995 the US has provided $1.3 billion in aid to North Korea, and the US looks forward to renewing its contributions, but that Pyongyang must dismantle its nuclear weapons program if it wants to achieve international respect. “We must prefer a negotiated solution,” the US official added. By threatening additional sanctions, building international resolve, and leaning on China to take the diplomatic lead, the US intends to pressure North Korea into abandoning its nuclear weapons – a goal that has proven elusive for two decades. Tensions on and around the divided Korean Peninsula have been running high. In an attempt to deter North Korea from more nuclear and missile testing, the US has sent a group of American warships led by an aircraft carrier to the region. This week, North Korea conducted large-scale, live-fire exercises on its eastern coast. While Chinese Foreign Minister Wang Yi acknowledged that stopping North Korea’s nuclear weapons program is a most urgent task, he has also called for the West to “exercise restraint on North Korea,” stressing that the bickering over who should take the first step must end. “We also demand the US refrain from conducting military exercises in region against the DPRK,” Wang told the Security Council. China said it is eager to see a resumption in negotiations. Six-nation talks with North Korea on its nuclear program, which were hosted by Beijing, stalled in 2008. The Obama administration attempted to resurrect them in 2012, but a deal to provide food aid in exchange for a nuclear deal soon collapsed. In February, Beijing said that in order to adhere to the latest in a series of Security Council resolutions aimed at curbing the North’s nuclear and missile programs, it would suspend coal imports from it for the rest of the year. Although this is an important revenue source for country, other Chinese economic activity with North Korea remains robust. 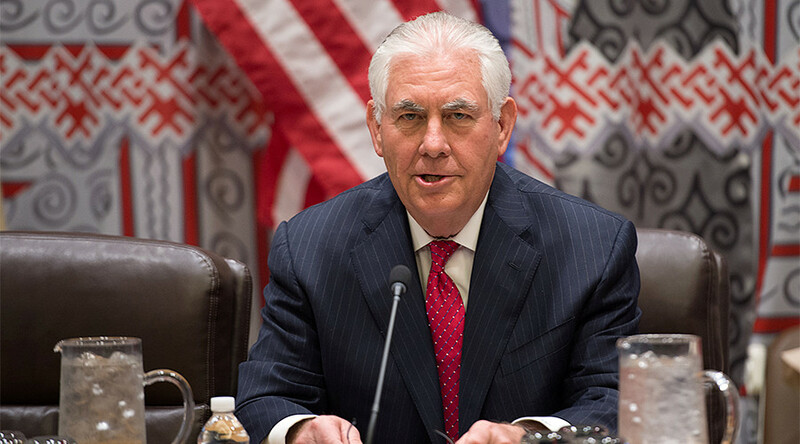 In a separate interview with National Public Radio aired on Friday, Tillerson said the US remains open to holding direct negotiations with Pyongyang.